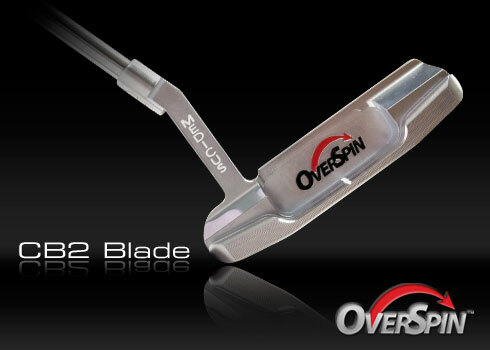 The Medicus OverSpin(TM) is the best rolling putter available. The secret to its "True Roll" capabilities lies in the patented beveled face design. Putts will roll forward immediately by eliminating the lift that is caused by conventional putters. No skipping, no skidding, just pure forward roll right off the face. The CT Grooves act as a set of tracks, keeping the putter-face from turning as grass pulls against the club. The beveled face feature reduces the amount of friction caused by grass. Combined, these two features have created the most effective club ON and AROUND the green. 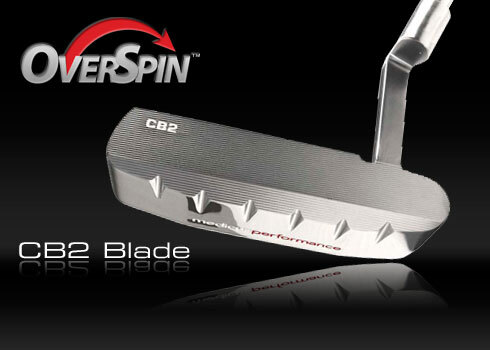 The Beveled Face Design eliminates the lift caused by conventional putters, allowing a perfect shot every time. CT Grooves act as a set of tracks, keeping the putter-face from turning and improving accuracy. 304 Stainless Steel Tour Design incorporates a CNC horizontal milled face for crisp and clean ball contact putt after putt. The world's only full utility use putters offering real True Roll performance. Patent Pending Medicus CT Groove Technology allows putter to be used in high fringe and rough just outside the green where a wedge or approach club would normally be used.